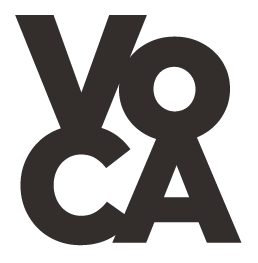 VoCA Journal Why Not Ask the Artist? Lauded as the authentic voice of the artist, interviews and conversations today have nearly replaced the traditional forms of the artist’s published writings, such as his or her journals, letters and correspondence, and autobiography. To paint takes too much time, I rather talk, talking is good!”1 While this statement by German artist Martin Kippenberger cannily suggests that the power of persona trumps the artwork, it may also illustrate an urge felt by many artists to take a shortcut and express their ideas—and their personality—verbally, in an effort to mitigate misunderstanding of their work by critics, colleagues, and the art public. To be sure, live conversations with artists in museums and universities have surpassed the popularity of conventional scholarly lectures, and hardly any catalogue, monograph, or arts magazine comes published without an exclusive interview with the artist. The discourse between artist and conservator is a relatively recent development, and is certainly one of the undisputed advantages and attractions of contemporary art conservation. To gain trust and confidence from an artist is an enormous gift for the conservator. It offers a fascinating perspective into the creative process and is a great tool to help make the best possible decisions. This relationship is built on the interest and knowledge of the artist’s work, and often becomes a mutual flow of information. Many artists are intrigued by the concept of arresting or manipulating time as part of the creative process, for example, or need advice on archival materials unavailable in hardware stores. Conservators are in the position to offer our rich background in natural science, conservation techniques, and art history. Such a practice of exchange is both a reflection and imperative of the enormous complexity of art production since the 1960s—when seismic cultural, political, and technological shifts began to change the way art was defined, practiced, and made. Indeed, the conservator of contemporary art is confronted with myriad artistic strategies, references and experimental procedures, with any combination of non-traditional ingredients such as building materials, latex, plastics, surface finishes, perishables and detritus—not to mention video, audio, performance, and computer-generated media, which have also found their way into the artist’s bottomless toolbox of expression. Without an understanding of the creative process and intention that goes into an artwork, it is often simply impossible to respond and develop conservation decisions appropriately. To what degree are signs of aging acceptable, and what is considered damage or failure? What are the advantages of refabrication or replacement versus restoration? These questions seem to be best answered by the artists themselves. The studios of well-established artists are often highly organized and keep detailed records of work elements, installation and fabrication history—and of course, artists are extremely knowledgeable about their methods and materials. So, why not just ask the artist? Unfortunately, the answer is not as simple as it seems. 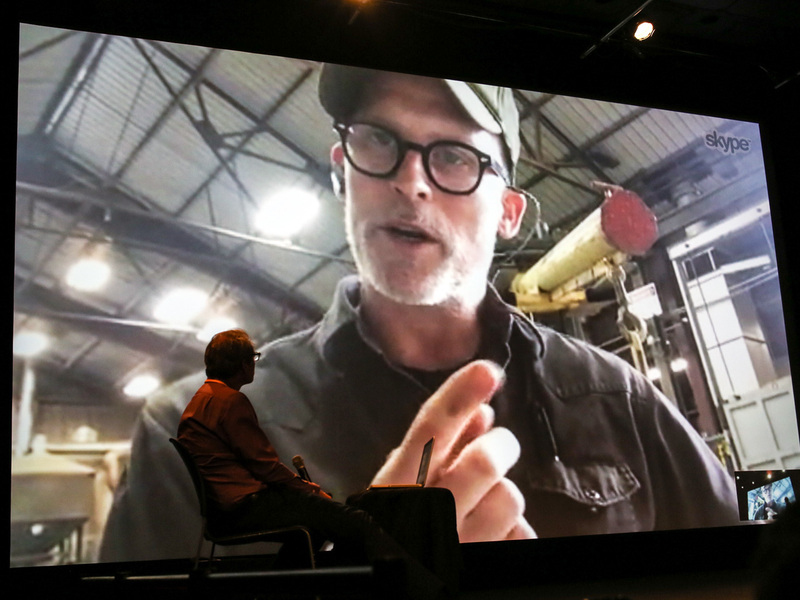 Christian Schiedemann conducting a Skype interview with artist Matthew Barney during The First Crack symposium on April 25, 2015. More than in the hors-commerce realm of a museum, in private practice the conservator is at the nexus of expectations of multiple stakeholders, who may include the collector/owner, dealer, insurer and adjuster, auction house and, of course, the artist or artist’s estate. In other words, when an artwork departs from the artist’s studio, it becomes a semi-autonomous thing. It joins the greater network of all the moving parts that comprise the art world, and thus its relationship to the artist changes. Certainly, artists and their work are automatically and indelibly connected for life via the artist’s moral rights, provided by the federally instituted Visual Artists’ Rights Act (VARA, 1991). But this is mainly to do with copyright law, which ensures the proper attribution of artworks. In some cases, moral rights may be invoked in legal proceedings in order to prevent or prosecute the destruction of an artwork, either by the owner or conservator. The degree of wrongdoing, however, must be severe enough to qualify as “gross negligence” and “mutilation,” for example.2 VARA is limited in scope and specificity, and perhaps necessarily so. But what VARA seems to do is in line with our own work as conservators in private practice: respect the relationship between the artist and his/her work but acknowledge that, once sold, the work becomes both a commodity and a ward of cultural history. As such, it is now subject to the knowledge, expectations and beliefs of various representatives and interests. When considering conservation paths, the voice of the artist remains a crucial source of information, but it is now joined by the voices of other stakeholders – and sometimes, as we can expect, there is discord in this new chorus. In private practice, the conservator’s professional mandate of confidentiality toward the client can even preclude informing the artist that their artwork has come to the conservation studio. Reasons for this can vary, such as transfer of ownership (i.e. an amicable gift or purchase becomes a profitable sale), neglect of maintenance or mishandling, fears of de-authorization or revocation, or knowing of the artist’s disapproval of the conservation concept. On the other hand, the client may wish for the artist’s re-authorization or even reinstallation after the conservation treatment. Obviously, it is in everyone’s interest to maintain the integrity and value of the work. But the definition of these terms, and how to establish them, is far from clear. Integrity, which is often understood as the reflection of the artist’s intent manifested in the physical object, can be debated. For many artists, the susceptibility to failure or disintegration of a work threatens to undermine the original concept or intention. And, as is his/her prerogative, an artist’s ideas about the physical and conceptual maintenance of his/her work may change over the course of their career, especially from the retrospective view towards their early work, for example. The nature of the damage – was it negligence or inherent? – also shapes the artist’s response. The artist and owner may have conflicting views on aging and failure, ideas that can be influenced on both sides by current market standards and the context of the artist’s greater oeuvre. A collector may fear a loss of value in their investment with the formation of whitish micro-crystals on a silkscreened chocolate surface, while the artist is okay with it. Or, an artist may want to remake the faded clothes that a sculpture has worn since 1990, but the owner considers that the value that the work has since earned will be compromised. A finger mark can be seen as an anecdote – or a total loss – depending on whose fingerprint it is, friend or foe! It is a phenomenon particular to contemporary art that artworks are often expected to appear unaffected by time. The seemingly endless epoch of ‘the contemporary’–which is now a container of time spanning about 55 years – obscures the historical dimension that all works of art acquire at their physical conception and accrue year after year, the way people do. It is here, in the crease between the contemporary and the historical, that the artist and conservator in particular may diverge most strongly. As close a working relationship that it may become, the conservator and artist have different roles to play. The role of the conservator is to locate and secure the artwork within its time and treat it as a historical document, irrespective of the desire of the artist or owner to modify or renovate the work. The artist’s common preference to replace a part of the artwork, instead of having it professionally conserved or simply accepting its physical condition, ultimately negates the object’s place in history. As strange as it may sound, we sometimes need to protect the original artwork from the artist. For now, the short answer to, “why don’t we ask the artist?” is yes, we should ask the artist. We should also ask their studio assistants, fabricators, and suppliers as well as other conservators, and review all available documentation including interviews, books, records, and emails that will help us form the most comprehensive picture possible. The artist’s advice – like that of the owner, artist’s estate, insurer, auction house, and gallery – should not be taken as a directive but considered an important element within the constellation of information that informs the conservator’s actions. Within this system, it is vital to not lose sight of the artwork itself, as the care and guidance of the work into the future is the primary goal. 1 Martin Kippenberger in Kippenberger. Der Film. Dieses Leben kann nicht die Ausrede für das nächste sein (Kippenberger: The Film. This life cannot be the excuse for the next one): Jörg Knobel, Germany, 2007, 75 min. 2 Title 17 of U.S. Code § 106A, “Rights of certain authors to attribution and integrity.” http://www.copyright.gov/title17/92chap1.html#106a. Christian Scheidemann is President and Senior Conservator of Contemporary Conservation Ltd, a private firm that specializes in the conservation of works from artists who work with non-traditional materials such as petroleum jelly, elephant dung, chewing gum, soap, or chocolate. Christian has lectured and published extensively on the conservation and meaning of material and process in contemporary art. Cite this article as: Christian Scheidemann, "Why Not Ask the Artist?," in VoCA Journal, February 8, 2016, http://journal.voca.network/why-not-ask-the-artist/.